It's good to find that Collective Espresso has finally reopened after their Christmas/New Years break so we've popped in for a spot of breakfast and coffee - to help restore us after the Sunday Market. 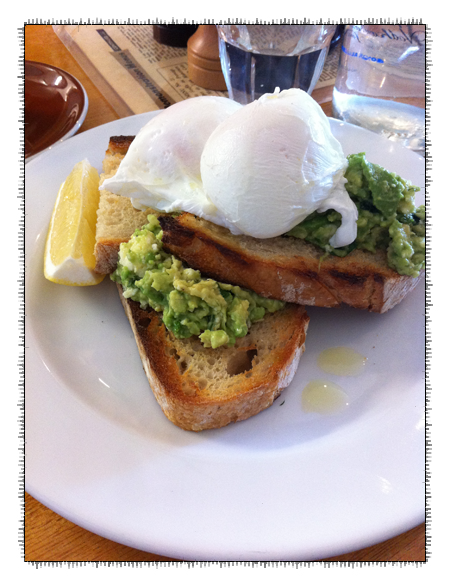 Excellent poached eggs, soft and runny, just as I love them. Three pieces of sourdough, sliced just right - someplaces can cut their bread so thick that once it's toasted you need a chainsaw to get through it - generously topped with a mix of mashed avocado and feta. 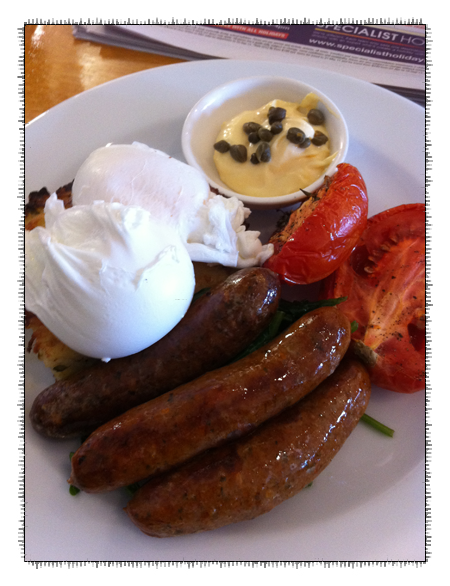 Same excellent eggs and toast, this time served with good meaty sausages and roasted tomatoes. Coffee, we're happy to report, is still very good.